Sunsetting at the Lichtenstein Foundation: Gifts to the World! 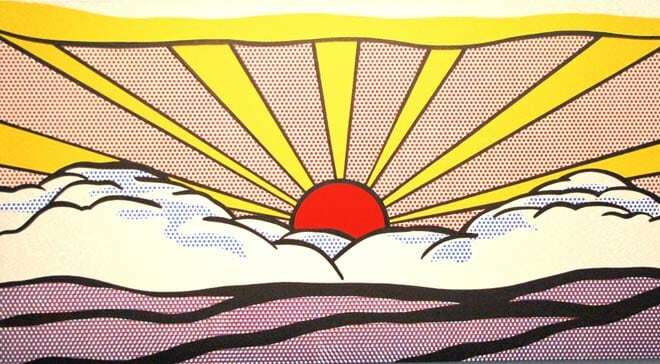 Shortly after the death of Pop Art icon Roy Lichtenstein in 1997, a private foundation was established in his name, with a primary goal of facilitating public access to his work. Projects included the long-term (and still ongoing) creation of a catalogue raisonné of Lichtenstein’s career, which spanned the second half of the 20th century. The New York-based Roy Lichtenstein Foundation also has loaned works from its extensive collection to exhibitions around the world. Now, with one bold brushstroke, the leaders of the foundation have signaled a new phase in fulfilling their mission, one that could eventually lead to sunsetting the organization. On June 1, the foundation announced “the launch of two comprehensive, long-term collaborations.” Roughly half of the Lichtenstein artworks held by the foundation will go to the Whitney Museum of American Art in New York; all of its archival materials—about half a million documents, which will be digitized over the next several years—will go to the Archives of American Art (AAA), a Smithsonian Institution research center based in Washington, D.C. The news release on the foundation website noted that these significant contributions were initiated by the foundation and have been approved by the boards of all three organizations. The foundation leaders also stated that over time, additional, smaller gifts of artworks will be made to other institutions. We feel privileged that all departments of the Whitney Museum and the Archives of American Art are so enthusiastic and have embraced our initial ideas. We have always intended that the Foundation, now almost twenty years old, would not operate in perpetuity and are delighted we can create a new way forward with our first set of chosen successor institutions, well before we “sunset.” We will continue to refine and expand these projects and facilitate research opportunities. Furthermore, it is our long-range hope that Roy’s Washington Street studio would go to the Whitney as a venue for its extensive artistic and scholarly programming. We will be delighted if this proves to be a useful model for other artists and artists’ foundations, estates or trusts. We have seen too many sudden closings of nonprofits lately. This article provides some do’s and don’ts of closing your doors with honor and integrity.